JOINING US IS A BIG DEAL. If you live around here, you can’t beat the great value a Skene Valley golf membership gives you. First of all, a membership allows you to come over and golf anytime you want—as much as you want—all season long. That means as long as the weather is golfable. No tee times necessary. Golf anytime the club is open: 7:00 AM-9:00 PM. That’s what we call a Bigfoot deal! Secondly, you get all that golf for a lot less than most other clubs. Happily, signing up for membership is no big deal. Mail your check to Skene Valley Country Club. Want to save even more on your membership? 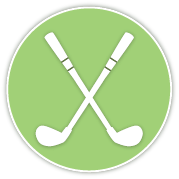 Join Skene Valley for the next golf season before December 25, and we’ll take 10% off your membership price. This makes for a great gift idea, too! And if you sign up before March 25 for the current golf season, you’ll save 5%. Anyone who joins up in the fall for the following golf season plays the remainder of the current season for FREE. So swing on in and join us at Skene Valley Country Club today! 2019 Promotion: Puchase a membership and have your child or grandchild (16 years and younger) receive a free membership. Let’s get our youth away from electronics and playing this lifelong sport this summer. We will honor this promo for anyone who has already purchased a 2019 membership. This offer is good all season. Couples are any two adults who live at the same address. Juniors are kids ages 10-18.